Kadir Sözen was born in Turkey in 1964 and emigrated to Germany in 1969. He studied Economics from 1986-1990 and worked at the same time as a freelance journalist and scriptwriter for several TV stations. He was awarded the IG Metall's Feature Prize in 1988 for his feature Zwischen Bottrop and Bosporus - Heimweh auf tuerkisch and WDR produced his first screenplay, Yearning (Sehnsucht), in 1990. 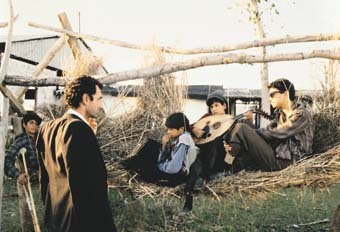 His directorial debut, Freezing Nights (Kalte Naechte, 1994), won five awards at the Adana Film Festival and two at the Ankara Film Festival for Best Director and Best Script, and the FIPRESCI Special Prize at Istanbul. His other films include: Winterflower (Winterblume, 1996) and Gott ist tot (2002).